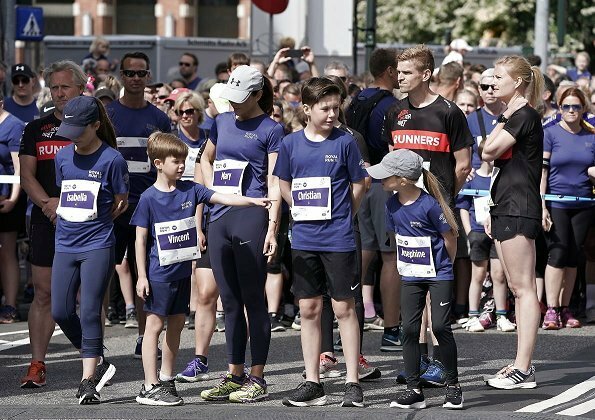 On the occasion of 50th birthday of Crown Prince Frederik, Royal Run is held all over the country today. 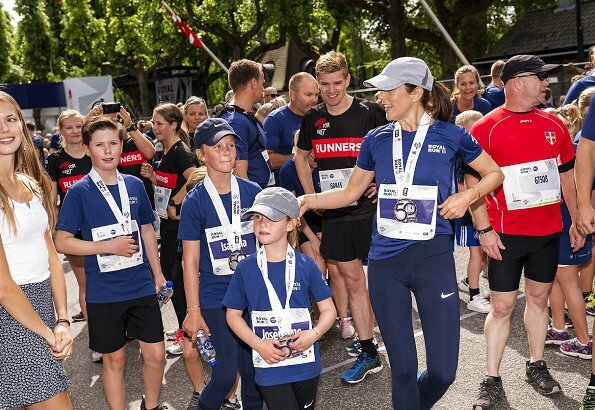 Today, Crown Princess Mary will participate in a 10 km race together with Crown Prince Frederik. 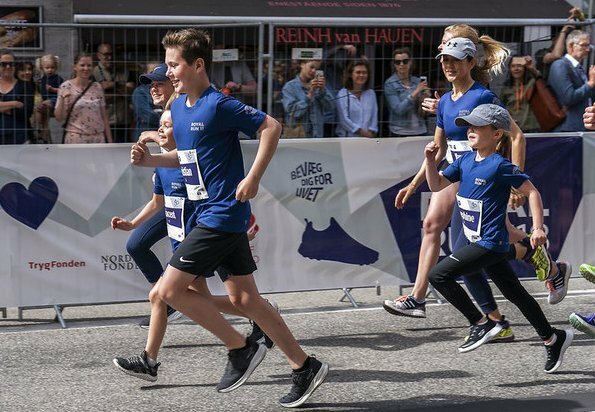 However, this morning, the Crown Princess participated in a short race in Copenhagen with her children Prince Christian, Princess Isabella, Prince Vincent and Princess Josephine. 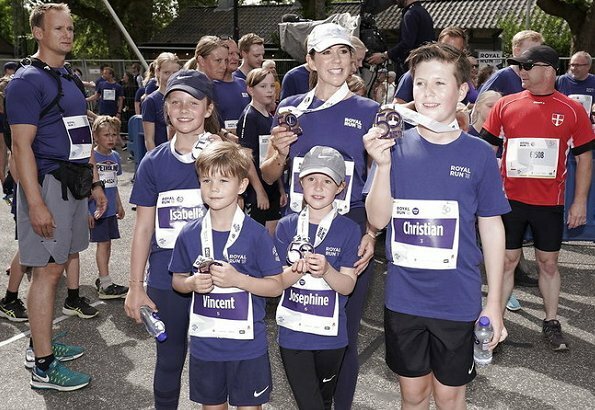 After the race, the Crown Princess, Prince Christian, Princess Isabella, Prince Vincent and Princess Josephine received Royal Run medal. 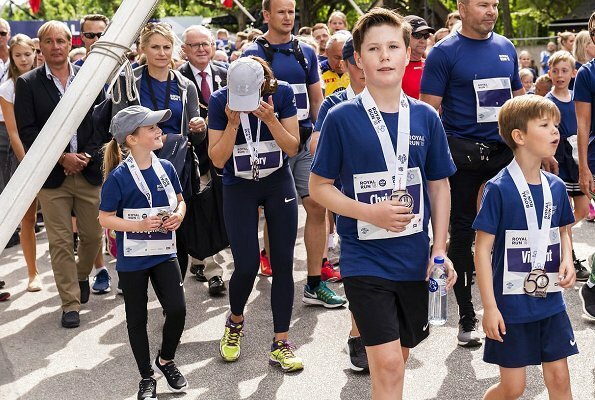 More than 35.000 people participated in Royal Run in Copenhagen. Royaux accessibles, interessés et impliqués envers les gens qu'ils desservent. Les temps changent, pour le mieux. Cela me ravit. I like their name bibs. 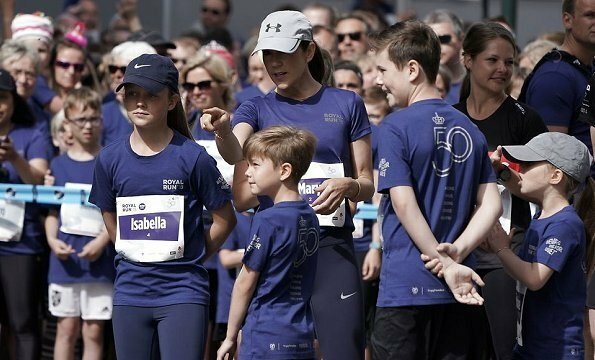 Mary always looks good and Prince Christian seems to be a very charming boy! This is why she always fits so beautifully into her clothes and looks exquisite. Good for her! We all help out DAD part of his Birthday present a run with the Family.Good looking Family. 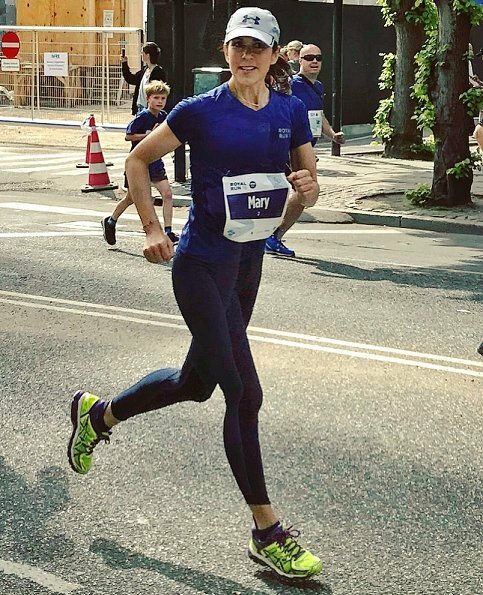 Mary is so perfect in every way, one almost cannot believe it! And the children too, so far. 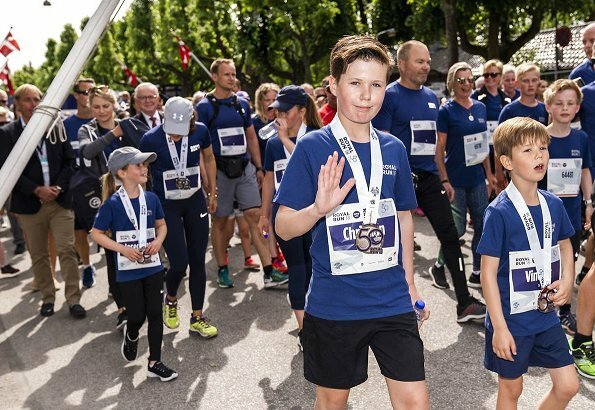 Denmark can be proud!